When you are before the altar where Christ reposes, you ought no longer to think that you are amongst men; but believe that there are troops of angels and archangels standing by you, and trembling with respect before the sovereign Master of Heaven and earth. Therefore, when you are in church, be there in silence, fear, and veneration. 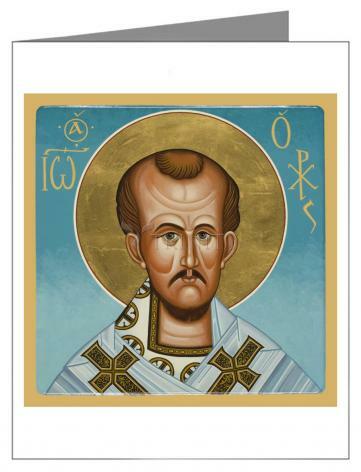 His feast day is September 13.